Executive offers you not only beautiful stairs, but also safe stairs! 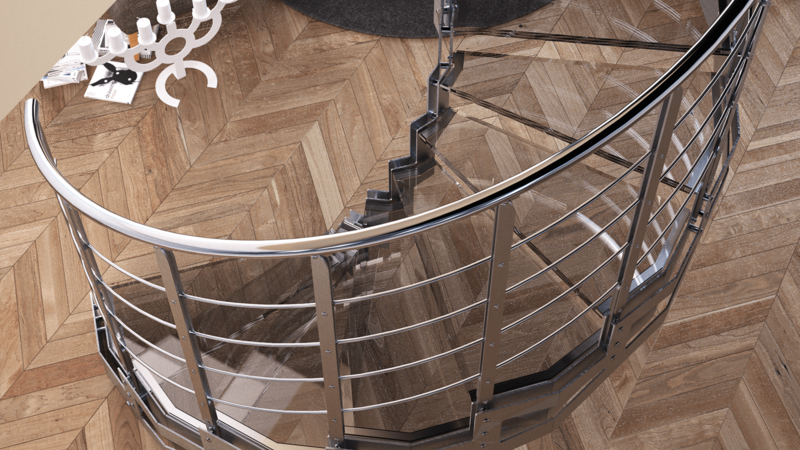 Design stairs of our collection are made of different materials, including glass, whose aesthetic features are especially appreciated by customers. But when you choose a stair with glass steps or a stair with glass railing, it is very important to consider its technical performance and safety. First, you should prefer tempered and laminated glass, which provides greater strength and security (mind you, this is not a detail but a basic requirement). In addition, among other things, it needs to be ensured that glass thicknesses comply with the existing safety regulations for public and residential use stairs.